industry!Over 80 Years of Experience speaks loud than our competitions fancy claims! In the event of an sewer emergency, sewer leak, sewer pipe burst or any unforeseen water and sewer failure, we are just a phone call away to restore your peace of mind. At Alex Figliolia Water & Sewer, our team is here to answer your call and emails, no matter the hour or the day of the week. With an expert staff present 24/7, 365 days a year, we are here to attend to your emergency water main and sewer repairs. essential for your water main or sewer needs. Our trucks are maintained by our own in-house mechanics, making sure that we can arrive at your site on time to work without delay. From water main repair emergencies to basic maintenance, you can rely on Alex Figliolia Water & Sewer to provide you with top notch service, customer satisfaction, honesty and all the expert advice that a water main and sewer leader should provide. Need help with any of the following below? 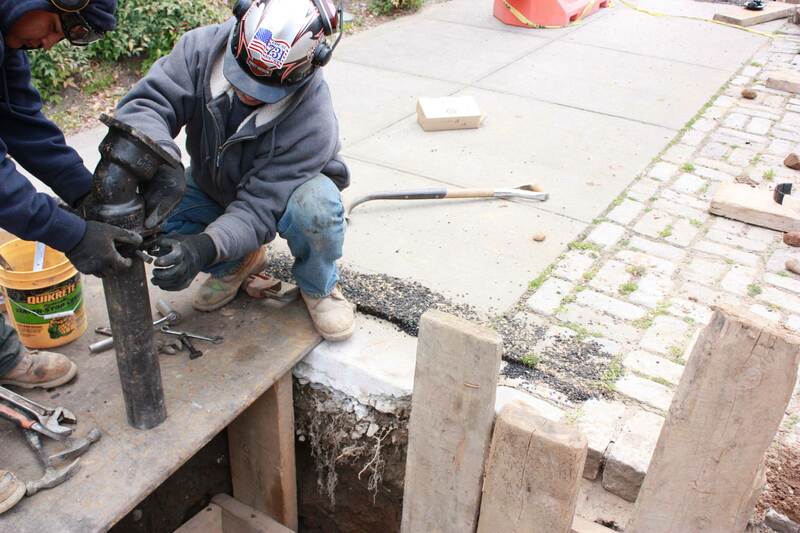 Contact Alex Figliolia Water & Sewer at 718-852-8700 and we will fix that sewer Problem right away. Alex Figliolia Water & Sewer’s licensed plumbers are at the forefront of all sub-surface water main companies in the 5 boroughs. We have over 80 years experience with water main repairs, replacements and new main installations. We handle any size water main repair or water main replacement job in your requested time frame and at a cost effective price. From water main repairs to new water main installations we are your licensed Master Plumber for Brooklyn, Queens, Manhattan & the Bronx. 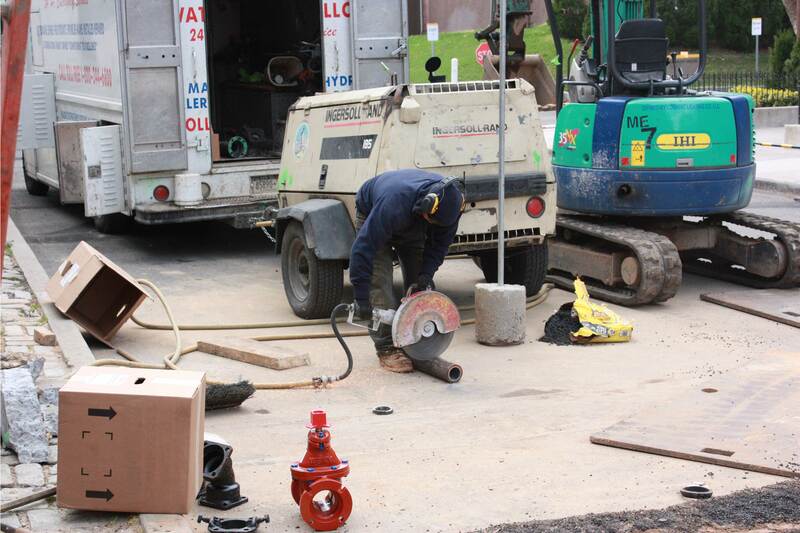 We specialize in all commercial and residential water main repairs, replacements and upgrades, and most important we ensure that all of the necessary permits are obtained as required for each job. In the event of an emergency, it helps to have some peace of mind. At Alex Figliolia Water & Sewer, our staff is always ready to answer your call, no matter the hour or the day of the week. With a team of specialists on hand 24/7, 365 days a year, we are here to tend to your needs. Whether you have suffered a leak or an all-out failure of your water service, you can rest assured that you’re in the hands of experts. For a Free Price Quote, call 718-852-8700. © 2018 Alex Figliolia Water & Sewer Water & Sewer, LLC.